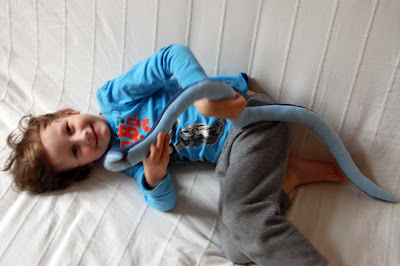 I sew a snake for Domík but the real reason why I am posting about it is that Domík looks so cute in the pictures. 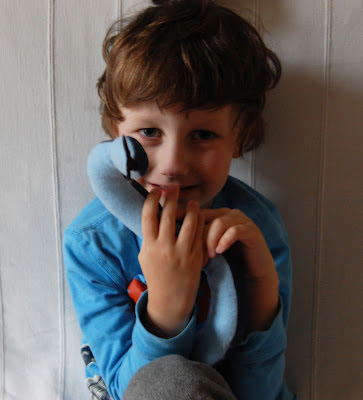 I took them in the moment of pure excitement, snake finally finished, stuffed and sewed together and he can cuddle with it. He sleeps with it at night. And with a bunny.